Possessing a small amount of cocaine for personal use is a misdemeanor offense. If there is evidence you possessed a large quantity for sale, were trafficking, or sold cocaine, then you will face a felony and much stricter punishments. Many of these crimes result in asset forfeiture of cars, houses, or cash related to the crime. There are two forms of cocaine: powdered and crystallized. The first type can be either inhaled or absorbed through nose or injected into blood while it is dissolved. The crystallized cocaine can be smoked in a form of crack which is a form of cocaine in a rock crystal. 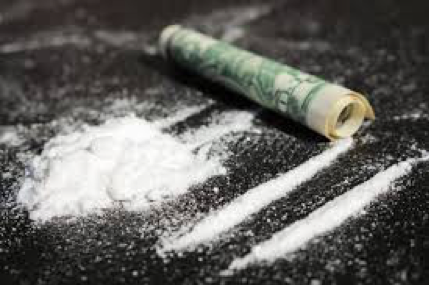 The methods of cocaine use influence on the pleasurable effects of the controlled substance. Commonly, cocaine is used to fight the fatigue and get the state of euphoria. Coke long-term users risk to harm the brain, lungs, heart, blood vessels. Moreover, cocaine may provoke even sudden death. Cocaine is required to undergo a long processing in order to be prepared, and it is considered to be a “hard drug” under the United States “Controlled Substances Act”. The law sets forth severe penalties for illegal possession, trafficking or sale of cocaine. This document distinguishes “cocaine” drug which is classified in Schedule II and “cocaine base” drugs, Schedule I. The main difference between drugs classified in Schedule I and Schedule II, beside harmful effect, is the severity of penalties stated for the violations of their cultivating, possession or sale. For example, “simple” possession of cocaine is punishable up to four years in state prison; meanwhile the same offense involving a cocaine base drug can be punished up to five years in state prison.